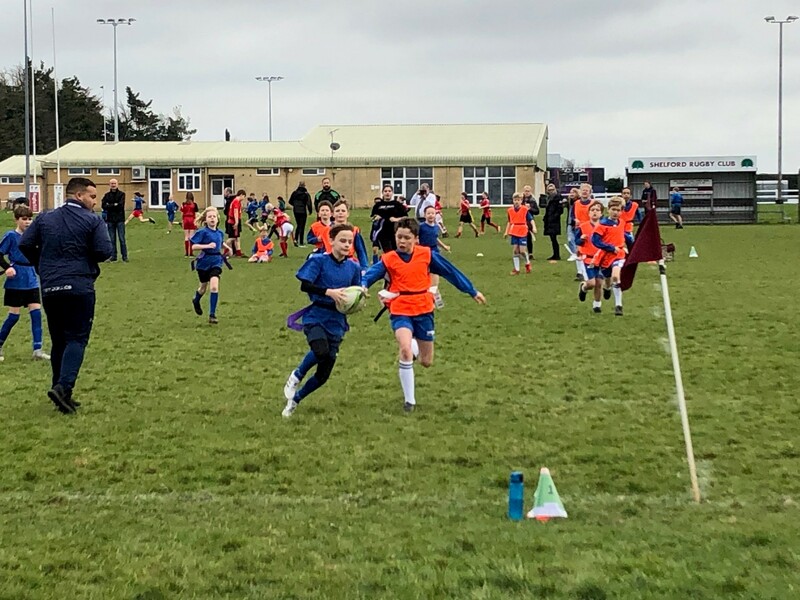 20 teams entered this year’s rearranged Tag Rugby Competition. The Competition was cancelled the week before due to storms.10 teams competing in the Small Schools Competition and 10 teams competing in the Large Schools. The day was filled with glorious sunshine. The children’s enthusiasm was clear to see as each school arrived to this inspiring venue! 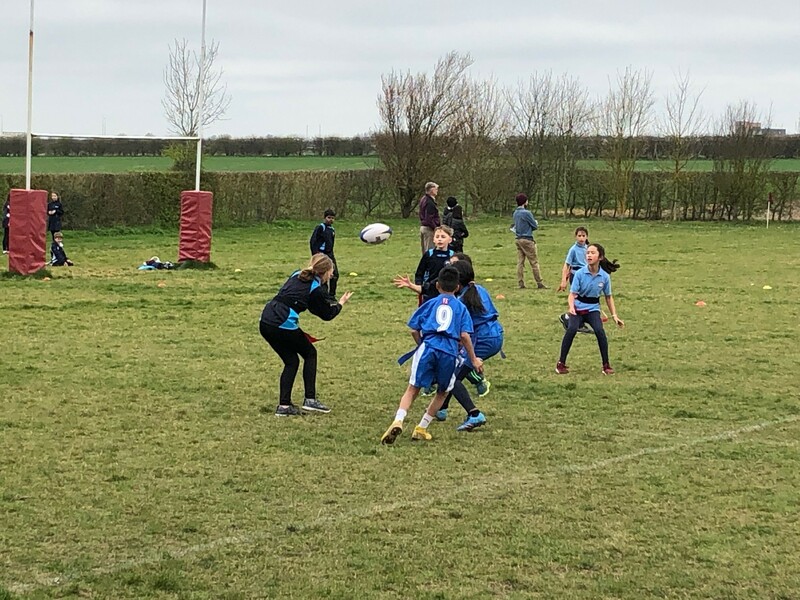 A big thank you to Shelford Rugby Club once again who played host and kindly supported what has become a very popular event in the Cambridge School Sports Partnership competition calendar. Building on the success of last year schools were keen to get involved and take part. It’s great to see this competition grow into a real spectacle. 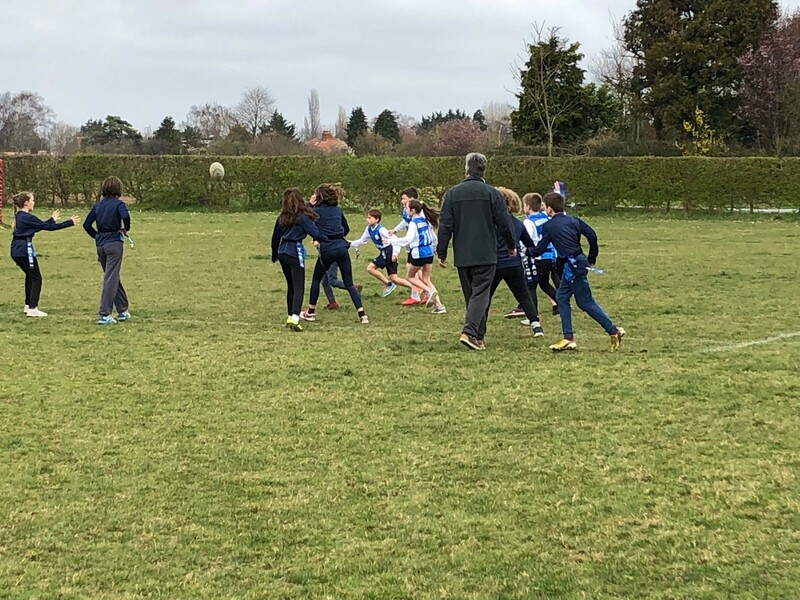 Cath Heron Partnership Manager for Cambridge School Sports Partnership said “It was fantastic to see so many children enjoying tag rugby. It is a difficult sport to get to grips with. 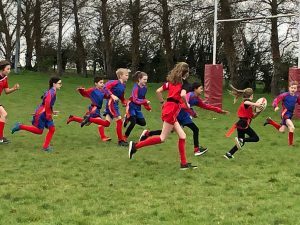 All schools had obviously spent time practicing their skills and tactics so they were fully prepared for a morning of intense competition. Shelford Rugby club have always supported the event and it is wonderful for the children to experience a community club. 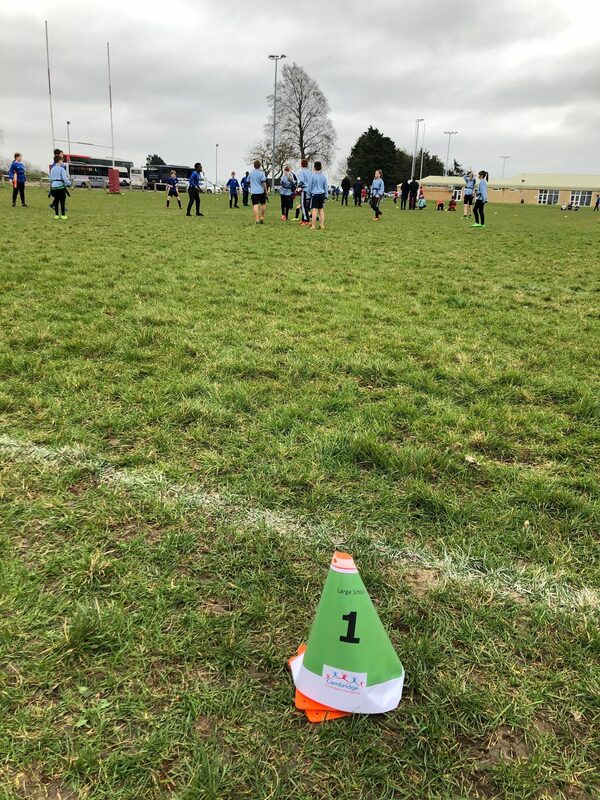 This shows them where they can carry on the sport outside the school field”. 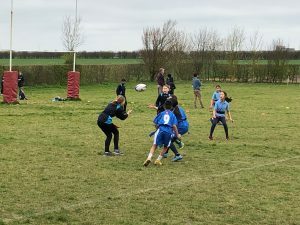 Entries came from St Albans, Shelford, Stapleford, Oaks International, Orchard Park, Fen Ditton, Park Street, Swaffham Bulbeck, Teversham and Burwell B. 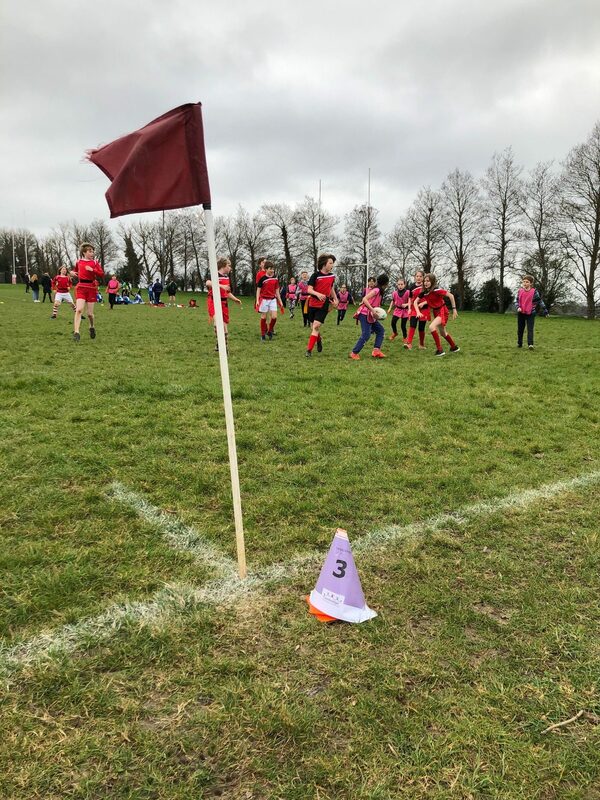 The competition was played in two pools across 4 pitches, with teachers refereeing. Thanks to all the teachers for doing such a good job! The top two from each pool then played off in the Final and 3rd & 4th playoff match. Congratulations go to winners, Swaffham Bulbeck and runners-up Oaks International. Spirit of the games was Passion and the certificates went to St Alban’s for showing passion and belief throughout the competition. 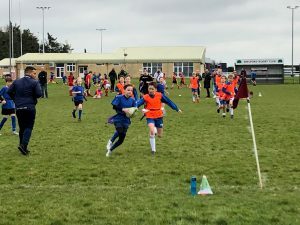 10 teams took part in the Large Schools competition. Entries came from St Laurence, Queen Edith, Newnham Croft, Burwell, Mayfield, Milton Road, St Matthews, Colville, Queen Emma and Bottisham. 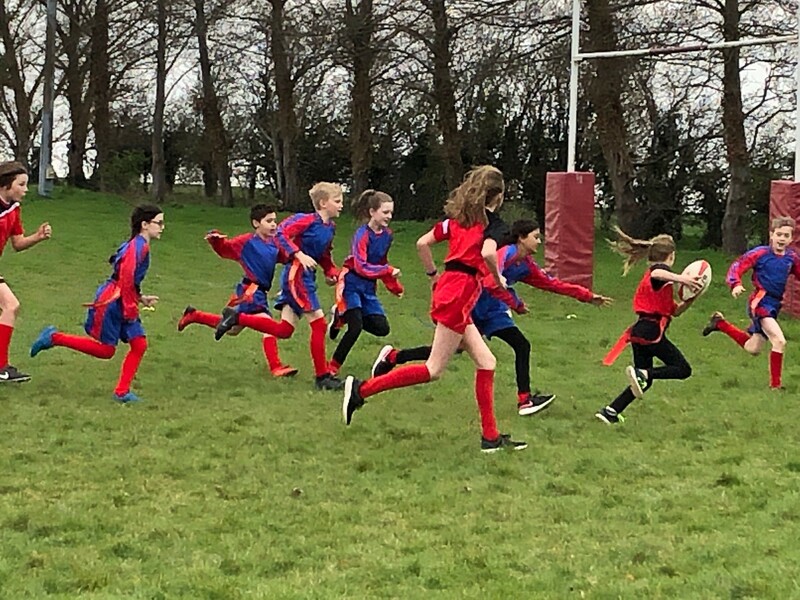 Congratulations go to winners, Bottisham and runners-up Queen Emma. Spirit of the games was Passion and the certificates went to Newnham Croft for showing passion and belief throughout the competition.